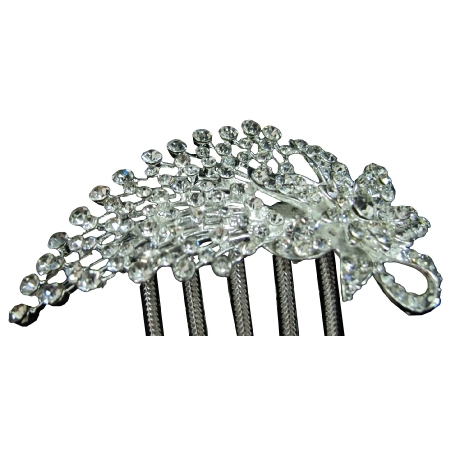 Float down the isle on your wedding day with this beautiful vintage inspired comb pinned in your hair. It can be worn in a variety of fashions & it sparkles & reflects the light beautifully! Fabulous & sparkling rhinestone flower fascinator headpiece. Designer quality at reasonable price.